Got this via email. Have not tried it myself and I’m not even sure I’m going to make it to the slopes this year, but if you looking for a 3D map for skiing, this could be what you are looking for. 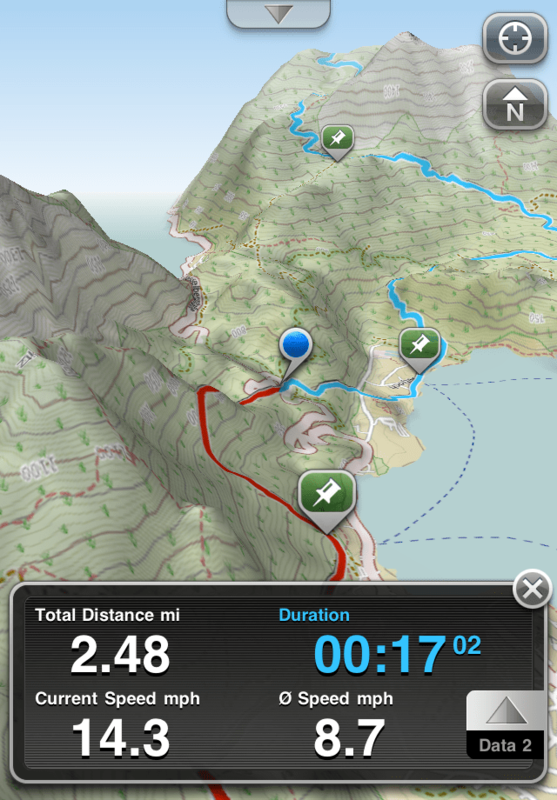 Movingworld is glad to announce the release of “Maps 3D 2.5” an 3D outdoor App for the iPhone. Thanks to Maps 3D (formerly GeoGuide 3D) you will never get lost on the slopes again. The outdoor tracking app retrieves the required off-line maps for the category “Ski, Bike & Hike” before the start of a trip, marks waypoints and keeps an eye on the destination. As a special Christmas present the new version 2.5 offers 340 ski areas in 3D. This way the next ski lift is easily located, even in heavy snowfall. Till December 20th the app is being offered at only $1.99 instead of $2.99. Venture of the road and the best navigation system is of no use. It’s now time for the outdoor apps. GeoGuide 3D is an established name in this area. However, in order to gain greater international attention, it changed it’s name. In it’s new version 2.5 it will now be the iPhone app Maps 3D. The outdoor app incorporates data from OpenStreetMap and OpenCycleMap. Anyone that would like to go hiking, climbing, cycling or be in involved in geocaches, simply downloads the required maps in three possible resolutions from the internet. This can be done before the trip and the data may be retrieved off-line at any time on the iPhone. Locally it can be viewed either in 2D or 3D (realistic relief with elevation lines) in order to avoid getting lost. The app finds the current location via GPS and marks it on the map. Maps 3D is familiar with plenty of natural reference points such as mountains, lakes, rivers, trails and many other landmarks. Waypoints may be imported or newly added during the preparation process. Destinations can be defined and easily located through precise instructions, including the assistance of a compass. The automatic tracking feature records the already traveled distance. After completing the route it may be sent out via e-mail. The new version provides sharper maps and shorter downloading times. Waypoints may be linked directly from the app with a photo. Important for cross-country navigation: for the first time the new version of Maps 3D 2.5 will display the linear distance from the actual position to the destination. This is a great tool to get oriented and to precisely target the destination point. For one week only, Maps 3D 2.5 is $1.99 USD (Reg $2.99) or equivalent amount in other currencies and available worldwide exclusively through the App Store in the Navigation category. The lite version may be tried out for free. The update offers more than 60 improvements and is of course free of charge for previous users of GeoGuide 3D. Journalists that would like to test the program may request a promotional code from Press Agency Typemania. This way the app can be obtained and tested free of charge.